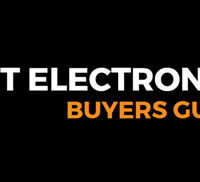 In one of our previous guides, we’ve discussed the topic of some of the best electronic drum machines. You can read more about them here. Today we’re going to cover something different, a crossover of a guitar pedal and a drum machine. This is the Singular Sound Beat Buddy Guitar Pedal drum machine. You’ll see how to set its ready-made drumming options, as well as how to play it along other instruments. One of the greatest perks of using this device is the wide range of drumming options you can choose from. 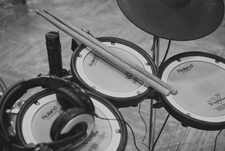 For starters, it comes with 10 ready-made drum set sounds that cover more than 20 music styles. 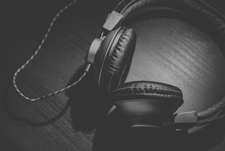 Singular Sound BeatBuddy will enable you to play your guitar or keyboard in all major genres, from pop, rock, blues and jazz to funk, reggae, Latin music, as well as metal and punk. It’s important to mention that those pre-set drumming patterns were performed by professional drummers. 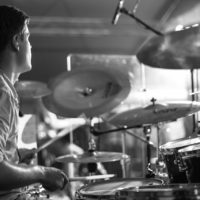 So, when you’re playing your instrument along with any of these rhythms, you can pride yourself on having a professional drummer behind your back. In addition to common rhythms and measures, such as 4/4, 2/4 or 3/4, this electronic machine can be adjusted to play some irregular beats, like 7/8, 5/4 and many others. As such, it’s a perfect choice for various kinds of musicians, from buskers to singers/songwriters who play their gigs without bands. Most devices are easily used in the comfort of your rehearsal room. A real test for a device of this kind is its playability and usability in live events. This is where the Singular Sound BeatBuddy Pedal has proven to be a reliable and practical option. The credit for most of its reliability goes to the extremely well designed interface. When you’re playing a certain rhythm on this device, a moving line will appear on the screen. 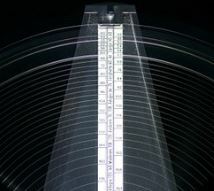 This visual metronome will indicate the measure in which you’re playing. For instance, if you’re playing “Blackout” by Muse, you’ll set the rhythm to 3/4 and there will be three moving lines on the screen, showing the number of beats you’re playing in that time signature at that very moment. Until the emergence of this device, the comfort of using pedal options on stage was the benefit that only guitar players had. Today you can change the drum patterns and beats, as well as switch to different drum fills as you play, thanks to the hands-free design of the Singular Sound BeadBuddy Pedal. As you press the pedal during your live performance, you can change the rhythm in accordance with the song you’re playing. What’s more, you can easily move onto other parts of the song. Another great perk for live gigs is the option to scroll down the song lists and get to the song you’d like to play next in no time. 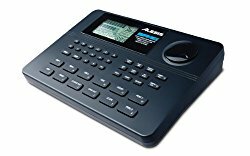 Guitar players can learn how to use the playing perks of this electronic drum machine here. On the other hand, if you’re a keyboard player, you should follow this video tutorial. Apart from playing your instrument along the drum patterns that come with the Singular Sound BeatBuddy Pedal, you can insert additional songs to this device. The memory card can accommodate up to 3 million songs and 300 extra drum sets. All these options can be downloaded from manufacturer’s website and imported into the device. What’s more, if you have a drummer whose drumming patterns you’d like to add to this device, you can record it and simply import them to your BeatBuddy pedal. This is where you should use the BeatBuddy Manager tool, so visit their forum to learn more about the software. This electronic device comes with the 24-bit sound quality, which matches the output reached in professional music studios. As for the input options, there are 3 x 1/4’’ inputs. For instance, here you can plug in the BeatBuddy footswitch (we’re going to talk about that later in this article). There are also 2×1/4’’ output options, as well as 1×1/8’’ output. The latter is meant to accommodate your headphone connector. If you want to connect your BeatBuddy Pedal to another device, you can easily do it via the Mini-B USB connection. Before you get to use the Singular Sound BeatBuddy Pedal, you could try its younger and smaller sibling – the Singular Sound BeatBuddy Mini. This version is smaller and less expensive than its bigger counterpart. There are some differences that you need to be aware of. The Mini includes 120 tracks, while the original BeatBuddy Pedal has more than 200 tracks. Also, the display on the Mini is much smaller, which makes the adjustment in live gigs a bit less convenient than the use of the big BeatBuddy. Also, you won’t be able to import or edit new files to this device. The 16-bit sound output is different from the original 24-bit sound quality. Despite this reduction, BeatBuddy Mini still delivers great sound quality. In general, it’s a practical and gig-friendly device. The visual metronome is still here, which is especially useful for musicians who are still struggling with tempo. The body of this device has one footswitch and two knobs. The former is used to change the drum patterns and add fills during the performances. Also, you can activate various transition patterns via the footswitch. You set the volume with the left knob and change the songs, genres and tempo with the right knob. A great appendix to the Singular Sound BeatBuddy Pedal or its Mini counterpart, the BeatBuddy Dual Momentary Switch can make your playing experience more convenient. This addition provides some handy additional options, such as drum pauses and emphasized hits. You can scroll down the songs on your main BeatBuddy Pedal only by using your foot and the Dual Momentary Switch. Its firm metal body and well-made buttons guarantee that it endure a large number of gigs and deliver great performance for its users. The Singular Sound BeatBuddy Guitar Pedal will meet the demands of every home, studio, street or gig musician. 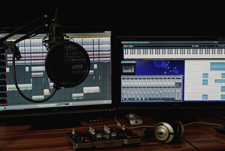 Be it a guitarist, a keyboard player or any other musician who can play along this electronic device, you can count on dozens of pre-recorded options. 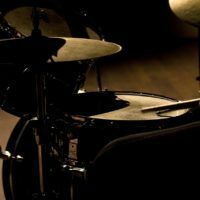 A great advantage is that you can add your own drumming patterns to it. It’s made of solid and durable material, so you won’t have to worry about the durability of the BeatBuddy Guitar Pedal when playing live. Together with the Singular Sound BeatBuddy Footswitch, you’ll get a firm drumming duo that delivers good sound quality at the stomp of a foot.